When you are planning a birthday party, you have to make sure you have all the courses included. Of course, many times even though you are over enthusiastic to assume everything on the table gets vanished, there is always a lot that’s left over. And more so with my kids, with none of them liking rice, I didn’t want to include any rice based dish for the party. Let by themselves, they would have selected only Chat items or chocolate dishes, but I had to make something on the lines or rice or parathas. Since rice was out of question, I decided to make some stuffed parathas. With my boys refusing to eat anything that looks like a vegetable to them, I had to sneak the vegetables somehow. 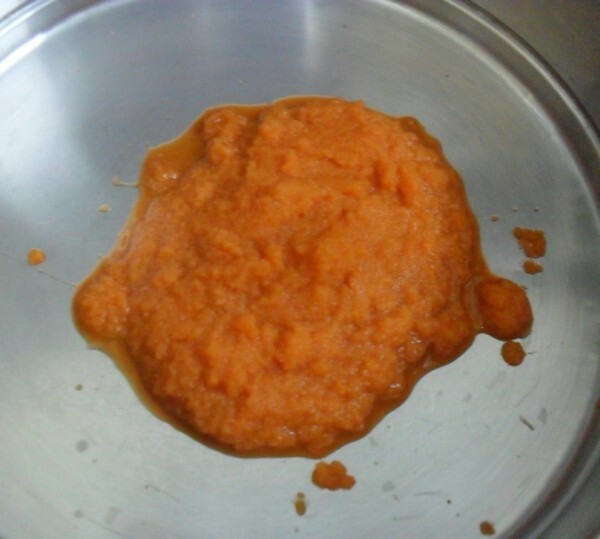 That’s when I thought I should use the vegetable puree and sneak it into their dish. 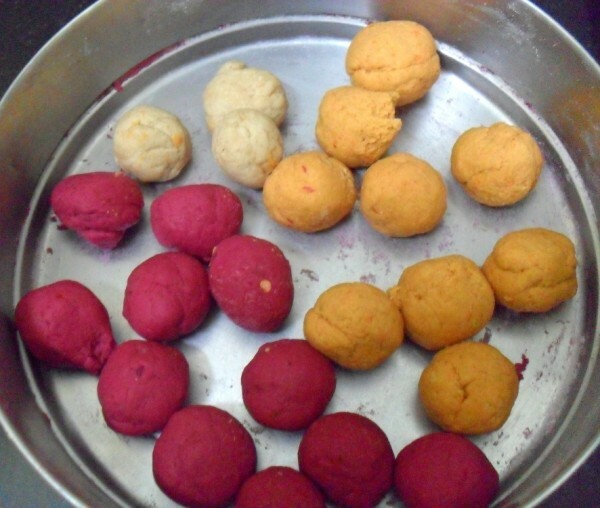 I had been planning on making these colourful pooris for a long time. 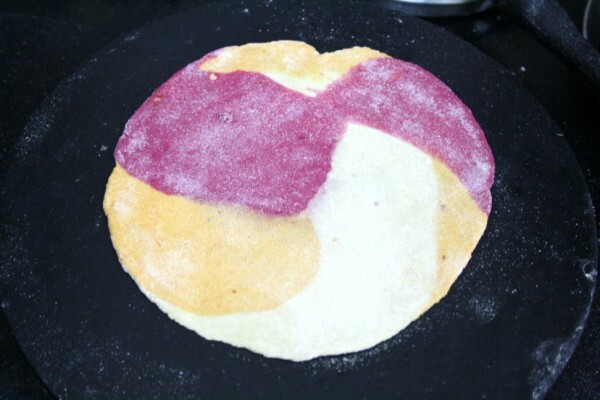 Then I thought I might as well make a paratha with different colours. I selected carrots and beets. Athamma reminded me that I should have added spinach as well to make it green. I completely forgot that our spinach plant is sprouting back. Anyway that’s for another day. I started with carrots and then went on with beets. It was fun working on these parathas. While I was busy making these, I came to know that boys teacher had told them that they ought to drink healthy drinks and healthy food that included vegetables. Peddu was after me to make something right away with beets, as his teacher told him that it’s healthy. I had to convince him to hold on for a while, as I was anyway making a paratha with it. 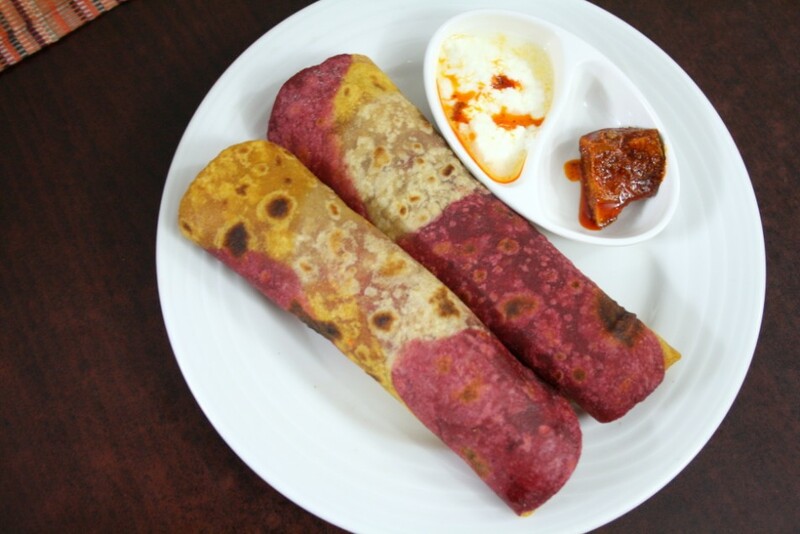 After making this colourful paratha, which Konda liked. While the boys refused to touch. 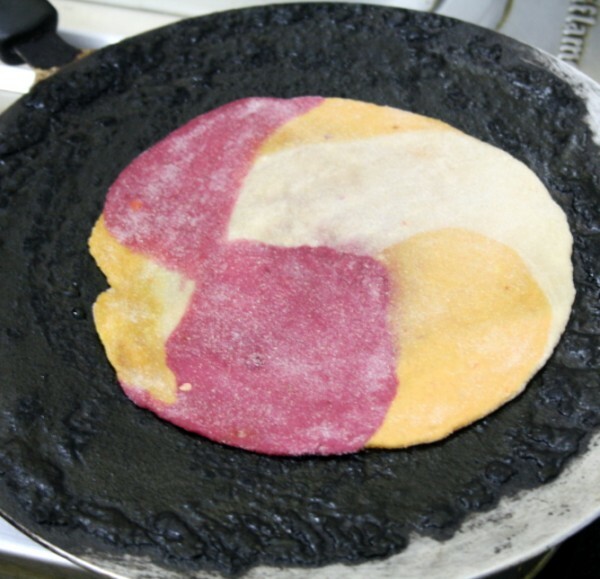 Peddu was okay to have an entire paratha made with just beets, so had to make him that. Konda said she liked the paratha, however she said the taste was as of potato. Well to please these kids, I might have to stand upside down, if only that was possible. Anyway I told her that I was aiming at making it look pretty, I know it’s tasty and on top it’s healthy. Now who am I trying convince? If your kids are goody dolls, they would surely love these. I am sure I will have to try these again on my boys. Peel and cut the carrots into smaller pieces. Pulse to get a puree. Transfer to a bowl. Add salt, spice, cumin powder and wheat flour. Mix well. Add flour and continue kneading till you get a soft dough. 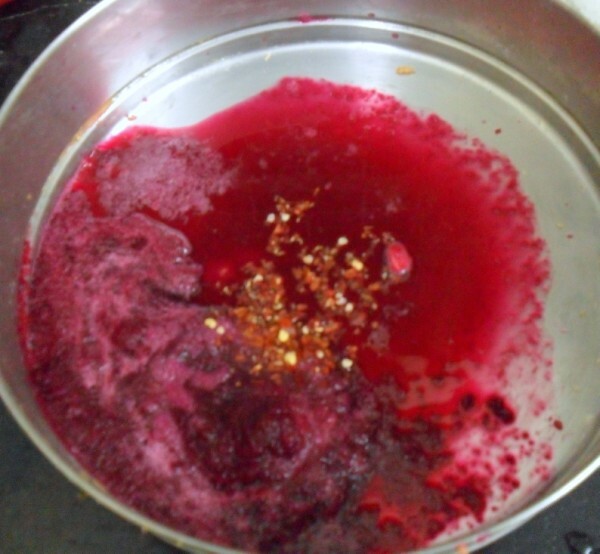 Cut the beets and get a puree by adding little water. 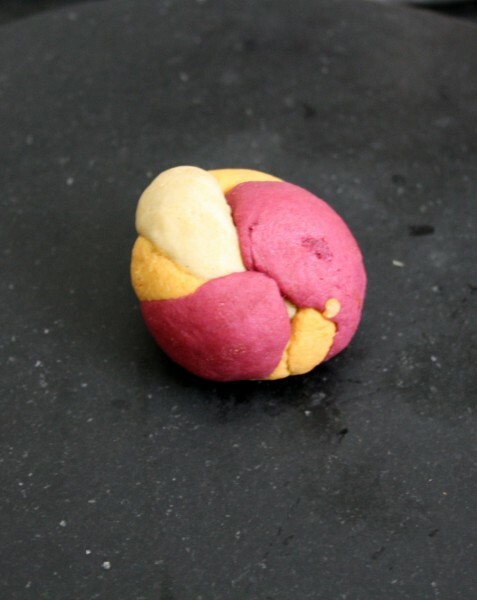 Make a dough with the beets by add spice, salt and wheat flour. Keep it aside. 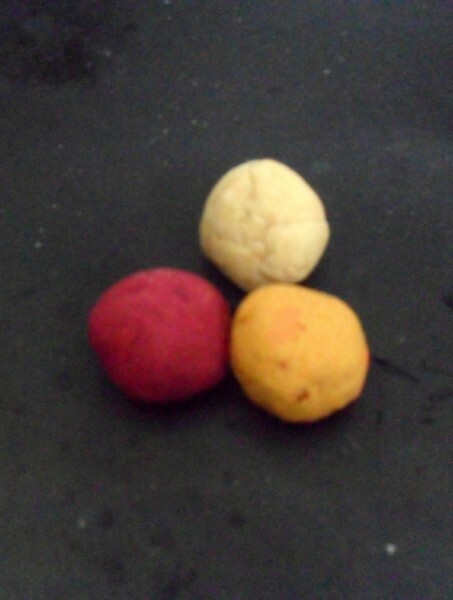 Make the regular dough and pinch out small balls from all the three doughs. Roll out the balls into long ropes, then holding all three together, make it into a ball. 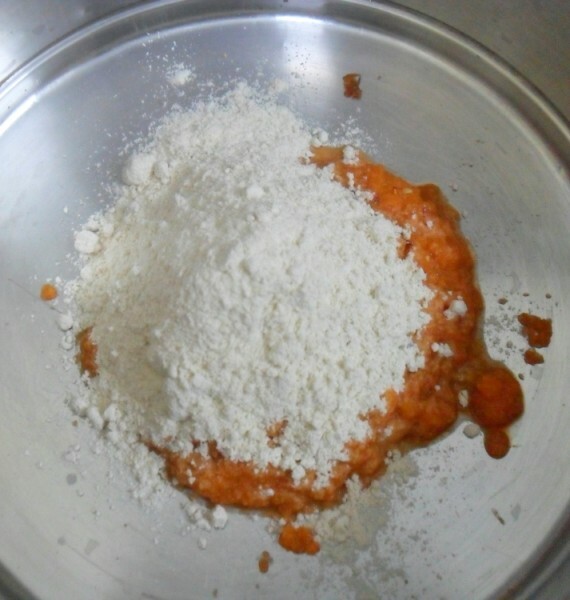 Dust with flour and roll out a disc. Serve with curds and pickle. 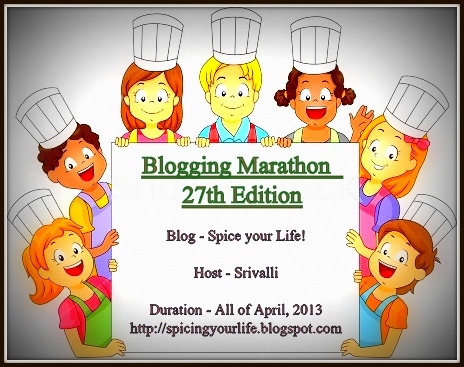 You can also add spinach puree to add green colour to this. 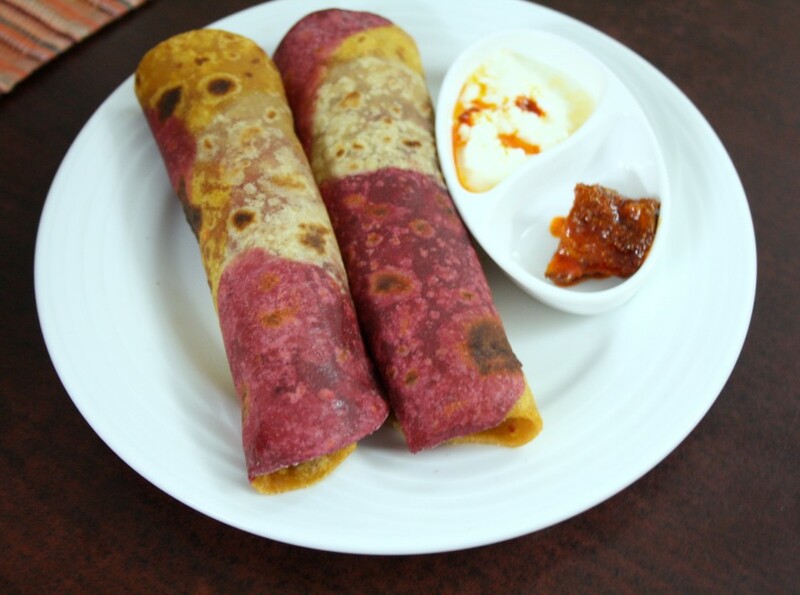 Yummy Healthy colorful parathas…. 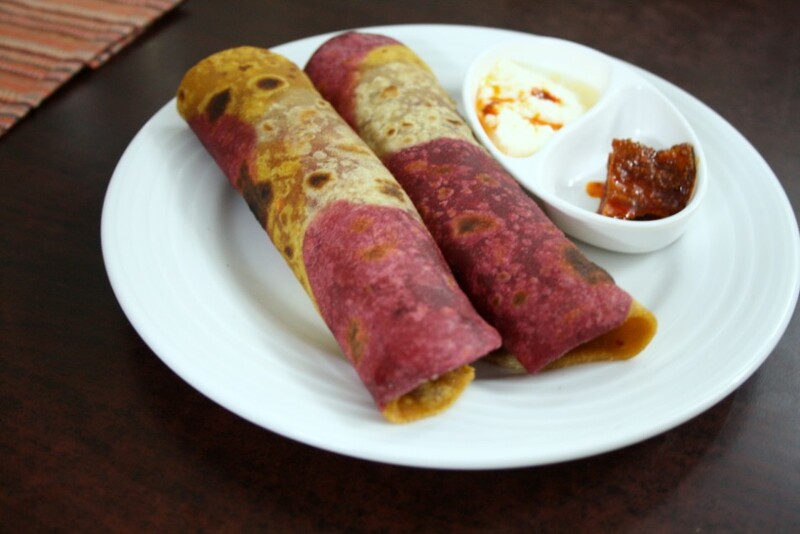 loved ur pro-ceder sure gonna put my hands to try these nutri paratha..
Beautiful and super catchy tri colour paratha.. Spinach surely would have made it colorful, but still they look cute..I have stopped all these as the kids eat most veggies..and prefer stuffed parathas. For sure a perfect one for kids ! I love the three combinations.. 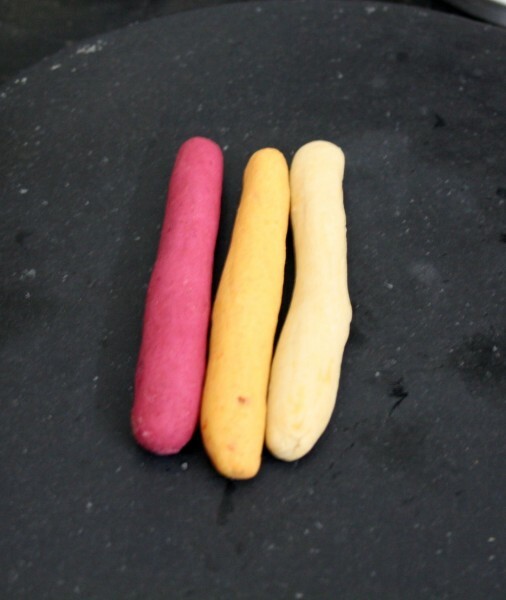 Loved those colorful parathas Valli. Great way to sneak in veggies for kids. Hmm I have not tried this kind of paratha. Looks colourful. Will look yum and sure will tatse great. lovely idea!!! i looked at the picture and was wondering how you got the perfect color until i saw your stepwise!! thanks for sharing the delicious and kid friendly paratha!! Wow! nicely done. Would make a picky eater gobble this one up.